Art, creativity and imagination are agents of wellness. Arts in medicine and healing has gone beyond beautiful images on walls. Expressive art is gaining acceptance as a medicinal that transfigures trauma. Few of us will have access to the comprehensive program of arts in medicine provided by Shands Healthcare System in Florida. The Visual Arts – Two-dimensional and three-dimensional arts including drawing, painting, collage, ceramics, and crafts. The Literary Arts – creative writing, poetry, personal journaling and oral histories. The Performing Arts – music, dance, and improvisational theater. Mind/Body Renewal – meditation, guided imagery, yoga and Mindfulness Based Stress Reduction. Aesthetics and Design – rotating exhibitions, a corporate collection and interior design. Expressive Arts are improving healing times and reducing pain! Commercial artists, musicians, painters, dancers, sculptors, and poets are exceptionally gifted, talented and disciplined. When it comes to wellness and healing, expressive art is personal. The value is in personal expression without judgement. Many of us don’t consider ourselves as creative or artistic and we rarely schedule time for exploring our creativity as a wellness practice. The “not good enough” art critic comments in the background. The beauty of personal creativity is that ~ no one needs to like it and there is no category of “bad”. The only requirement is that we feel connected to something true when we create it. For a demonstration of trust and connection with personal creativity as a healing methodology view Jon Tsoi, doctor and artist creating blindfolded. Expressive art is a potent personal nutrient to add to our best practices of nutrition, rest and movement on our wellness path. 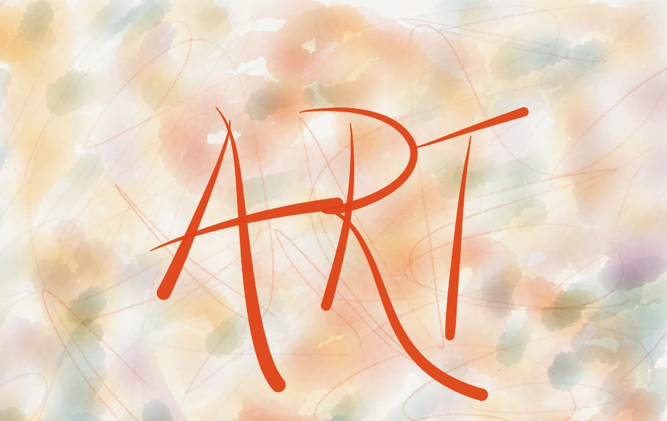 “No time” is not an excuse…the image “Art” at the beginning of this blog is designed with the application PAPER – an “on the go” expressive art app.